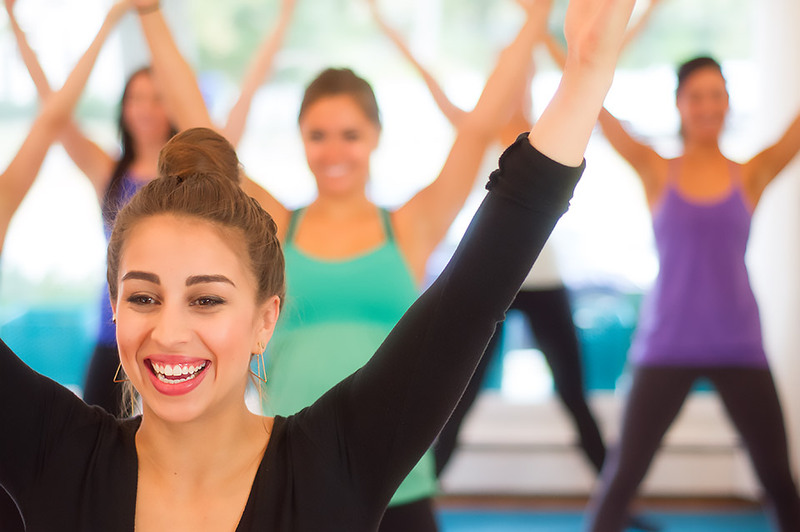 Welcome to Modern Barre, a boutique fitness studio offering barre classes for adults of all levels with locations in West Acton, Chestnut Hill and Brighton at NB Fitness Club. The Modern Barre approach offers a balanced and effective workout that will strengthen, lengthen, and tone your entire body. Clients will benefit from small class sizes allowing for individualized attention and personalized instruction. Our mission is to create a challenging yet supportive environment to leave you feeling energized, refreshed, and inspired. We look forward to seeing you in the studio! Modern Barre classes are full body, low impact workouts inspired by the foundations of ballet, Pilates, and yoga. Classes utilize the ballet barre, light resistance, and body weight exercises to increase total body strength with minimal stress on joints. Each strength exercise is followed by a targeted stretching segment to increase flexibility and lengthen muscles. No dance experience is required and clients of all ages and fitness levels will benefit from this safe, yet challenging workout. Each class is set to upbeat music and ends with a calming cool down to leave you feeling centered and refreshed. Barre fitness has been adapted over the years from a system created in the 1950s by professional ballet dancer, Lotte Berk. After sustaining a back injury, Berk began rehabilitating her body using a combination of orthopedic stretches and ballet barre exercises, resulting in a unique workout program which is now known as barre fitness. Modern Barre has combined these classic foundations with modern technique to deliver a simple yet effective program with a multitude of benefits. An introduction to the Modern Barre technique focusing on alignment, core stability, and flexibility. Classes are energized but work at a gentler pace with fewer strength repetitions and increased stretching segments. A great choice if you are new to barre or if you are a regular looking to perfect your form. With clear and simple exercises this class will give you all of the barre essentials. Our signature class offers an intense, low impact, total body workout utilizing the ballet barre, light resistance, and body weight exercises. Each exercise works muscles to fatigue and then stretches them to increase flexibility and create long, lean lines. Sessions end with our calming lavender cool down for total mind-body integration. 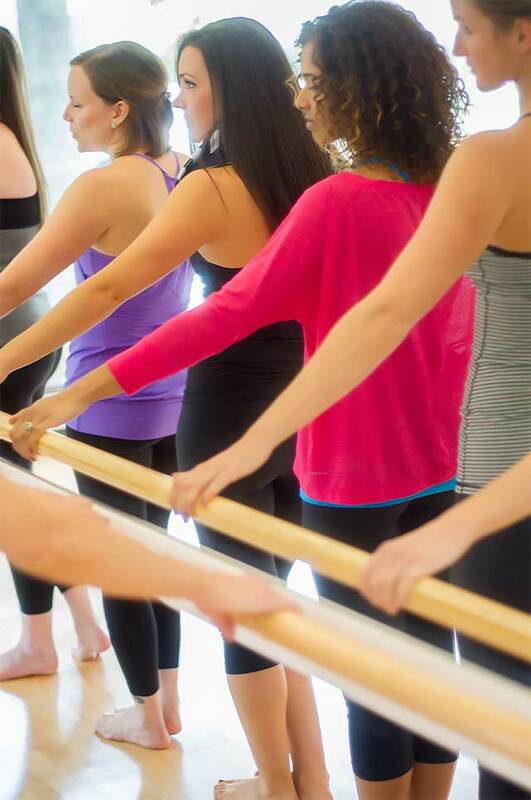 Everything you love about our Signature Modern Barre class, with the addition of an upbeat, aerobic workout. Cardio Modern Barre is the perfect choice for those looking for a dynamic cardio workout with all of the benefits of barre. We look forward to seeing you in the studio! Click to visit our online schedule and reserve your spot. If you have questions regarding potential times and classes please contact us at . We're happy to hear from you! Online sign up is required to secure your spot for class. All class purchases are non-refundable. Equipment and mats are provided by the studio. Socks are required for all classes - sticky socks are available for purchase. Shoes are not allowed in the studio. Please allow 12 hours for cancellations to avoid a full class charge. When cancelling within 12 hours, please use the “Late Cancel” function to allow other clients to sign up for class. Clients with Unlimited packages are subject to a $10 cancellation fee for late cancels and $15 for no-shows. New Client and Loyalist Packages expire one month from date of first visit - extensions are not available. Standard Packages expire one year from date of purchase unless otherwise specified. We are always looking for experienced, committed, and motivated instructors to join our team! Canidates must have extensive dance training and will partake in an intensive training course prior to teaching. Training costs and details will be discussed during interviews. Extensive dance experience and a fitness/athletic background. Musicality and the ability to work seamlessly on an 8 count. VERY comfortable leading a group fitness class. Flexible schedule to accommodate morning, afternoon, night, or weekend class times. Enthusiasm for the Modern Barre approach. National certifications and prior teaching are a plus. Please email with your experience and interest in becoming part of the team. Please enter through rear door. Free off-street parking is available behind and beneath Villageworks. Free on-street parking exists on both sides of Mass Ave, as well as side streets such as Spruce St, Windsor Ave, and parts of Central St and Arlington St.
Free street parking and free garage parking with ticket validation inside NB Fitness Club. Sign up for our mailing list to receive exclusive offers and deals! Thank you for choosing to purchase a Loyalist Package! These packages expire one month from the date of your next visit and are designed to give you the motivation and accountability to stay on top of your fitness goals. We are thrilled to reward our clients with a special rate that makes it easier to keep up with your favorite classes on a consistent basis. Loyalist credits will override standard priced credits and will be used first once purchased. Favorite band, artist, or type of music? Your most memorable dance or fitness experience?